17" packaged round. Helium Saver XL. 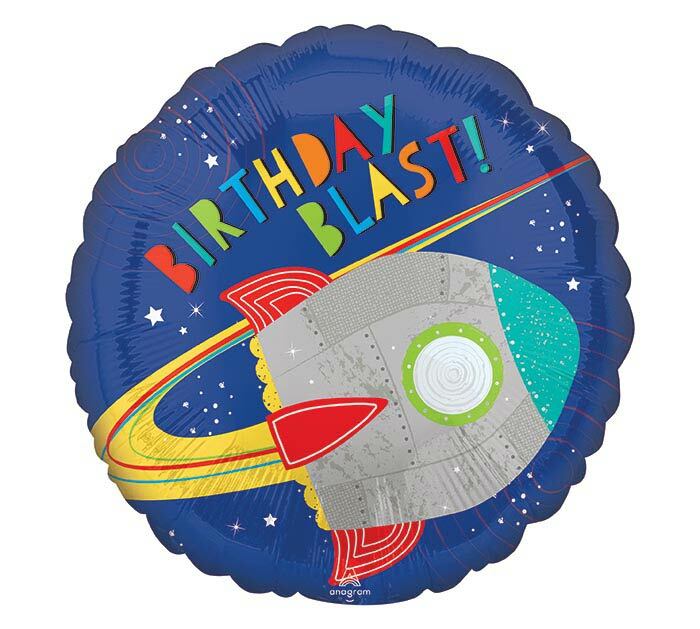 Rocket in space with message: Birthday Blast! Requires .38 cubic feet of helium, 8 gram weight and will float up to 7000 feet.